MECCA, Saudi Arabia — Saudi Arabia said Tuesday the nearly 1,100 photos distributed to foreign diplomats to help identify nationals who have died in the hajj are from the entire pilgrimage and not just a disaster near Mecca, seeking to tamp down rumors that the death toll in the stampede was higher than reported. Officials in India and Pakistan said a day earlier that Saudi officials gave their diplomats some 1,090 pictures of those killed in last Thursday’s disaster in Mina, where two waves of pilgrims converged on a narrow road, causing hundreds of people to suffocate or be trampled to death. But Saudi Interior Ministry spokesman Maj. Gen. Mansour al-Turki told The Associated Press the pictures also include people who died of natural causes. Many are pilgrims who reside in the kingdom and perform the hajj without the legal permits. Some are laborers from South Asian countries who choose to work in the kingdom in order to perform the hajj. The list also includes unidentified victims from the 111 people who died when a crane tipped over into Mecca’s Grand Mosque on Sept. 11. 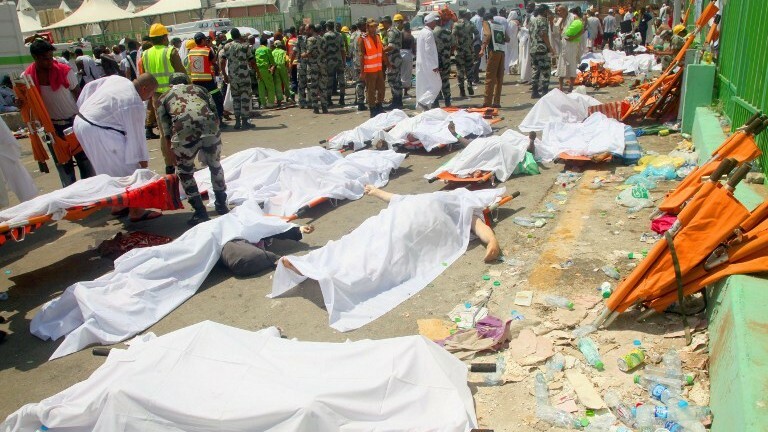 The Saudi Health Ministry says the death toll for the incident in Mina on Sept. 24 remains 769 people, with another 934 injured in the crush of pilgrims who were performing one of the final rites of the hajj. It was the worst disaster to strike the annual pilgrimage in a quarter-century. Faisal Alzahrani, the Health Ministry’s general director of communications, told the AP on Tuesday that this figure remained accurate. Alzahrani said civil defense authorities would be responsible for announcing any new death toll, though most recently they relied on Health Ministry statistics. Civil defense officials could not be immediately reached. Indonesia, which sends the largest contingent of pilgrims annually to the hajj, on Tuesday criticized Saudi Arabia’s slow response to incident in Mina, saying its diplomats only received full access to the dead and injured on Monday night, four days after the disaster. That access included seeing forensic records like fingerprints, said Lalu Muhammad Iqbal, an official in Indonesia’s Foreign Ministry. Those fingerprints may prove critical as many of the disaster’s victims lost their ID bracelets in the crush, he said. Iqbal said 46 Indonesian pilgrims died, while 10 were injured and 90 remain missing. Lukman Hakim Saifuddin, Indonesia’s religious affairs minister, said in a statement Monday that Indonesians did not have free access to hospitals to search for those injured. “The Saudi Arabian government has its own regulation, tradition, culture and procedures in dealing with such cases,” Saifuddin said from Mecca. “This has not allowed us enough freedom in our effort to identify” the victims. Indonesia is the world’s most populous Muslim country. 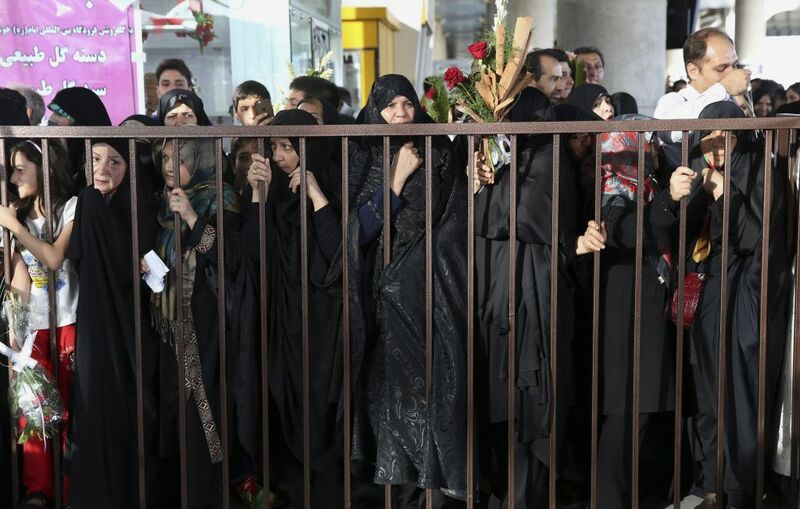 Iran, Saudi Arabia’s regional Shiite rival, has criticized the Sunni kingdom over the deaths, with Hard-liners staging daily protests near the Saudi Embassy in Tehran. At least 239 Iranian pilgrims were killed in the stampede, while 241 remain missing, state television reported. Iranian President Hassan Rouhani, who criticized Saudi Arabia at the UN General Assembly on Monday for what he called its “incompetence and mismanagement” of the hajj, cancelled his planned events in New York on Tuesday to return home. Saudi officials have launched an investigation into the disaster. Saudi Foreign Minister Adel Al-Jubeir has vowed that if mistakes were made, those who made them would be held accountable. Iranian officials have suggested that the death toll in the disaster was far higher, with some figures as high as 4,000, without providing any corroboration. On Tuesday, Alzahrani said Saudi officials were investigating how a false statement with an incorrect, much-higher death toll similar to one offered by Iranian officials was published on a website linked to the Health Ministry’s home page. Abdullah al-Ali, chief executive of the Kuwait-based electronic security firm Cyberkov, said he couldn’t immediately tell whether the false statement came from a cyberattack. However, he said Saudi Arabia’s official Internet space recently had been defaced or changed by politically active hackers angered by the case of Ali Mohammed al-Nimr, who was sentenced to death over charges he was convicted of at the age of 18. Al-Nimr’s uncle is the revered Saudi Shiite cleric Nimr al-Nimr, a vocal government critic who also has been sentenced to death, for leading protests in the kingdom in 2011. Pakistan’s Supreme Court meanwhile said it received a citizen’s petition asking it to open an investigation into the hajj disaster. So far, no hearing has been set. Pakistan’s Religious Affairs Ministry said at least 44 Pakistani pilgrims died at Mina, while 35 were injured. Egypt’s Minister of Religious Endowments Mohammed Mokhtar Gomaa told the state-run Middle East News Agency that 74 Egyptian citizens are among the dead at Mina, while 98 remain missing. The hajj this year drew some 2 million pilgrims from 180 countries, though in recent years it has drawn more than 3 million without any major incidents. Able-bodied Muslims are required to perform the five-day pilgrimage once in their lifetime, and each year the hajj poses a massive logistical challenge for the kingdom.